According to recent reports, the Tanzania Tourist Board (TTB) is currently working to make the Tanzania tourism industry more competitive by rebranding the country’s tourism image so as to draw visitors to attractions other than wildlife sites. 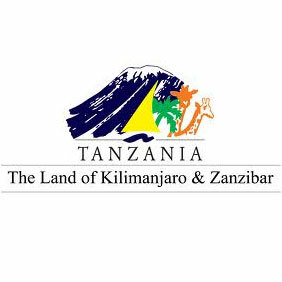 Dr. Alloyce Nzuki, the managing director of the TTB, recently explained to stakeholders of the Cultural Tourism Program (CTP) that the TTB began developing the branding project last year in an effort to differentiate the tourism destination from other close competitors and to support the image of Tanzania as Africa’s prime tourism destination. In addition, the managing director emphasized the importance of the country’s tourism sector as a major contributor to the country’s economy and currently the leading foreign exchange earner. Dr. Nzuki went on to explain that, in spite of increased marketing abroad, Tanzania would continue to be a wildlife-based destination for foreign visitors along with an increased emphasis on cultural tourism within the country. According to the managing director, while the government of Tanzania has expressed an interest in promoting tourism sites within the country other than the northern circuit, access to some local destinations remains challenging. Participants at a forum that was recently organized to help celebrate the 15th anniversary of the CTP also expressed concern over the lack of trained personnel within the tourism sector, particularly with regard to qualified and effective tour guides. In addition, Mr. Lepilal Ole Molloimet, a former Tanzania legislator cited pollution in some tourist sites as a major problem to the country’s tourism industry, calling on the appropriate authorities to address the matter. According to the CTP coordinator, Mr. Elirehema Maturo, in an effort to boost cultural tourism, the organization is currently working to improve their relations with the tour operators, travel agents and tourism institutions. The CTP was managed by an organization in the Netherlands, SNV, until 2002 when it was taken over by the government via the TTB. Revenues accrued through the program are primarily used to empower women in villages throughout the country, to promote education and to protect the environment.